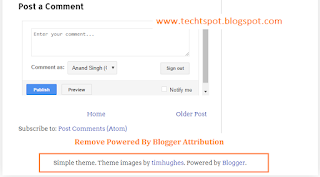 Hello guys welcome to the Techtspot Blogger tutorial today I will show you how to insert add Author Bio widget in Blogger with pictures. 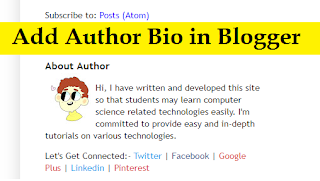 Today we discuss about Author Bio widget, here Blogger don't have any Author Bio gadget by default, so we are make it and insert it on blog, as we know Author Bio gadget have author information and there social accounts links, now we add it on Blog footer. 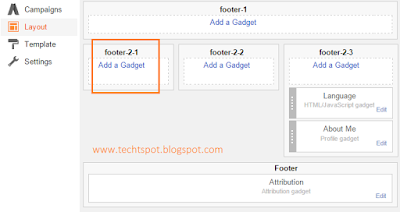 Step 1: Go to Blogger Layout and click Add a Gadget link in footer area. 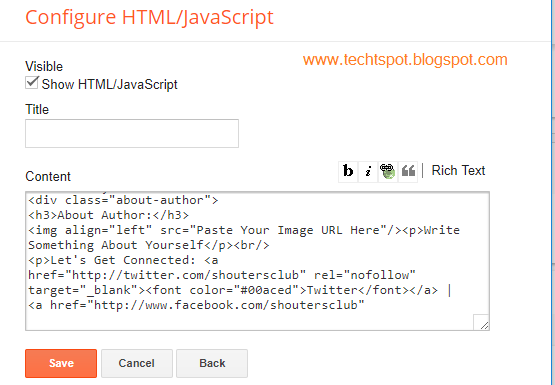 Step 3: Give the Title and Paste Code in Content area then click Save button. 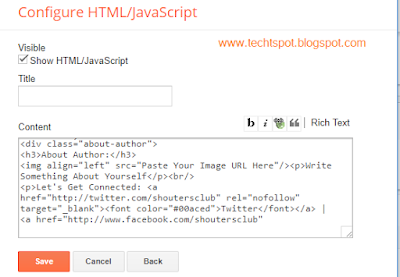 Step 4: Go to the Blogger Blog. 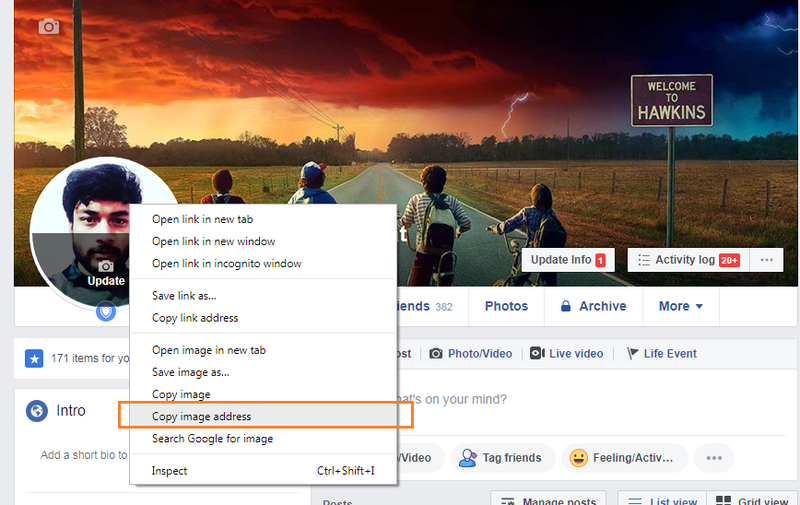 If You want to add your Image on Author Bio Widget then Go to Facebook profile and Right Click Your IMAGE then click Copy IMAGE Address. 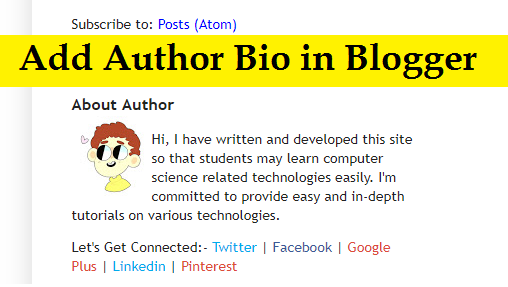 uh i finally got good solution with author profile was struggling with getting good. How can we place it in post footer? 3. 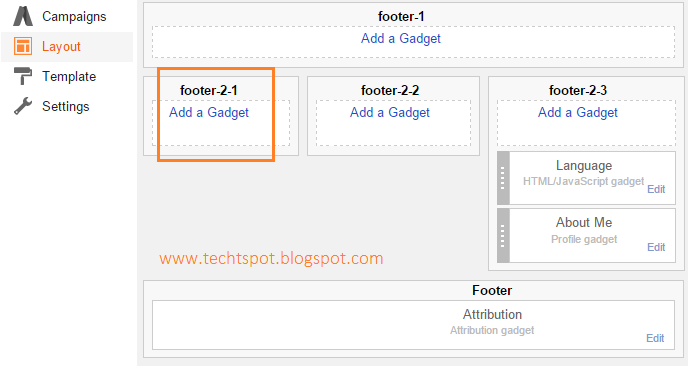 Find the line >> "post-footer-line-3"
4. Paste your code ABOVE the line containing this code. 4. Paste your code ABOVE the line containing this < /b:includable > code.